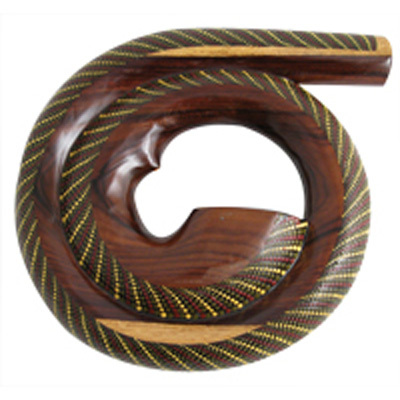 A beautifully crafted wooden spiral didgeridoo. Very compact design with a good sound. Great for travelling! Decorated with a colourful dot painted design.